This article will give rebel brides some options if they want to buy an unusual wedding dress. From bold accents to funky skirts, brides have a lot to choose from when it comes to unusual wedding dresses. Rebel brides want unusual wedding dresses that allow them to make a grand entrance at their wedding. Every bride has their very special personality, so they can show it off with unique wedding dresses that will have everyone at the ceremony talking. There are plenty of ways that brides can wear a dramatic wedding dress. A dress made up entirely of richly colored flowers seems unusual, but it still has the stunning effect that every bride wants. If you want a rebellious dress but still want to keep things simple, try gold accents on your dress bodice. Nowadays many brides wear wedding dress styles that feature bold coloring. While adding color to your wedding dress isn’t all that unusual these days, you can add color in a way that will have heads turning. If you want to add a retro touch to modern wedding dresses, try looking at dresses with big orange sleeves or sleeves of any bright color. Find a matching patterned band or bow. These touches will put your dress’ wow factor over the top. If you really want to get rebellious wedding dresses in Columbus, consider buying a patterned wedding dress with color. Patterned wedding dresses came onto the scene a short time ago. If you want a patterned gown, look at gowns with plaid, floral, stripes, paisley, and polka dot designs. Many brides want tea length dresses and flowing ball gowns. If you want a funkier wedding dress, look at gowns that incorporate two skirt lengths in one dress. Short-skirted gowns have a festive and flirty look in the front, while the longer back gives you a more traditional look from behind. It’s your wedding. The style of your dress lies entirely in your hands. 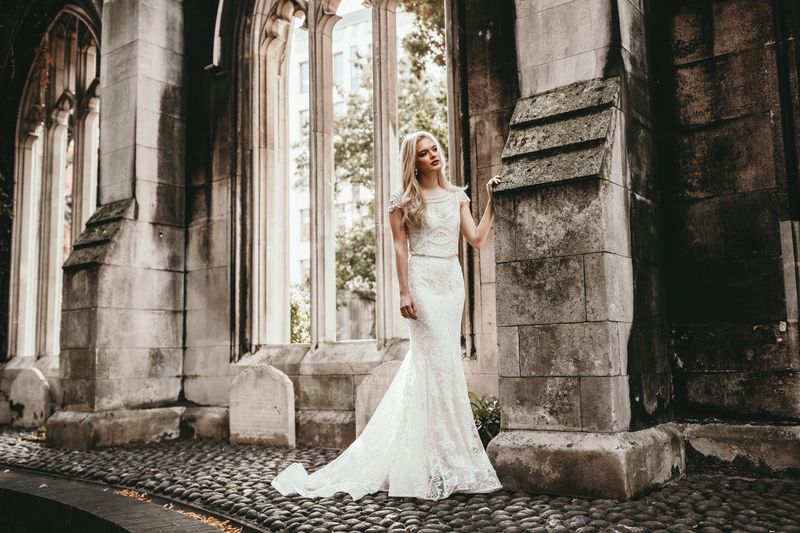 Whether you want a two-length skirt on your dress, puffy orange sleeves, or a big, fancy bow, you will have the most fun at your wedding if you’re wearing your dream dress.